Saying that I love to ride my Brompton is just stating the obvious. And as it turns out, Billy the Brompton and Black Betty are not all shy when it comes to trying alternative methods of transportation. First of all, we often pop the bikes in the booth of the car. This allows us to take them everywhere we want in the Benelux. Wherever we go, our bikes go. And if we decide to take ‘em for a spin, that’s exactly what we’ll do. Since I don’t drive a car myself – yes, I should at least attempt to get a drivers license – it happened more than once that I found myself in a situation where I got offered a ride. And on every single occasion, there was room to spare to fit my folded bike in the car. Great! 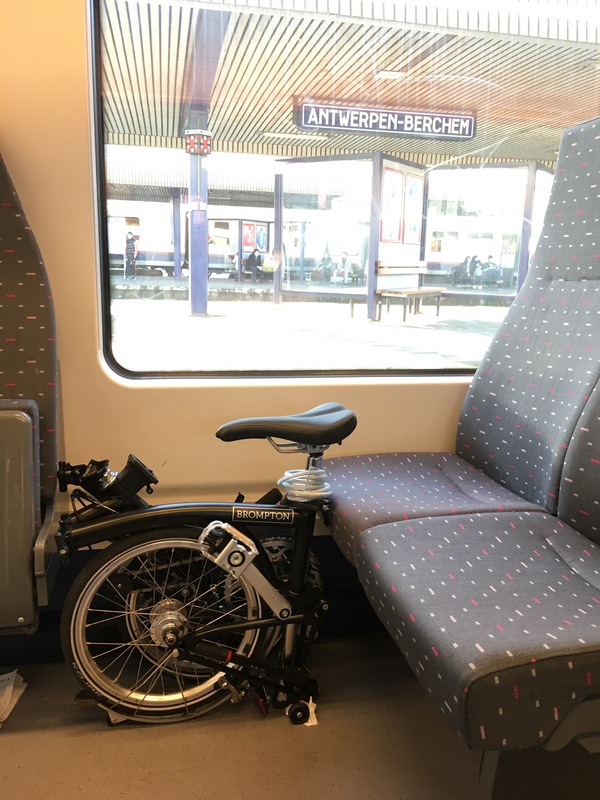 So far, I have had no problem whatsoever bringing my Brompton on a Belgian train. What’s more, there’s even no demand to cover the bike up. Just fold it and bring it on the train. No need to buy an extra ticket for you bike. Word to the wise, when it’s super busy, make sure your bike doesn’t interfere with other passengers travel pleasure. That means no bumping into people, and no taking up vacant seats. Common sense, right? After all, you don’t want to make your fellow Bromptoneers look bad now do you? I rarely take my bike on the bus, but it has happened that I’m, let’s say stranded, in a city a need to do so. Again, this doesn’t seem to be a problem in good ol’ Belgium. 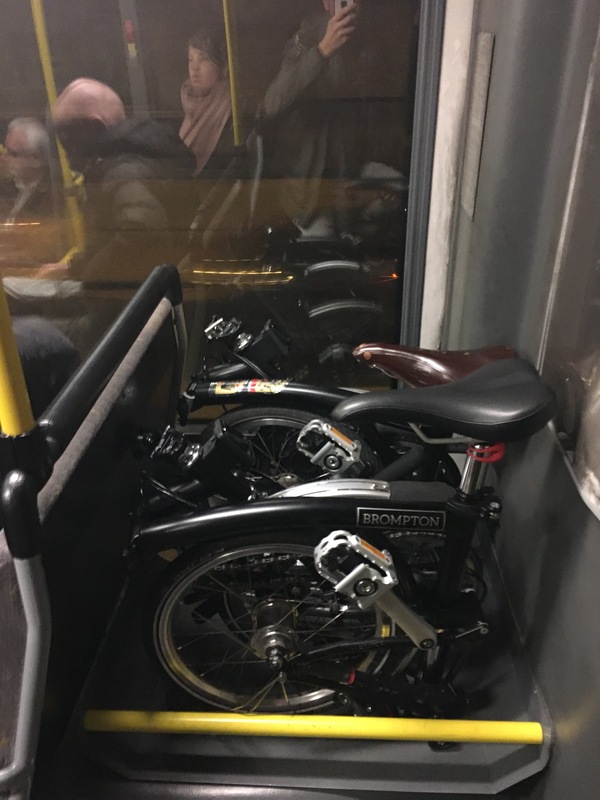 Mind you, during rush hours when the buses tend to get really crowded, you might find yourself struggling to find a spot to put your bike. Then again, there’s always a place to park it. I’ve flown with Black Betty once, but I’ll leave that story for a follow up post. When it comes to flying your bike, there’s a lot to be said.